A few weeks ago I went to Peniche, a small fishing town an hour’s drive north of Lisbon, where I spent the day watching dozens of women (and a couple of men) in a local park making intricate lace under the shade of trees and oversized parasols on a hot summer’s day. 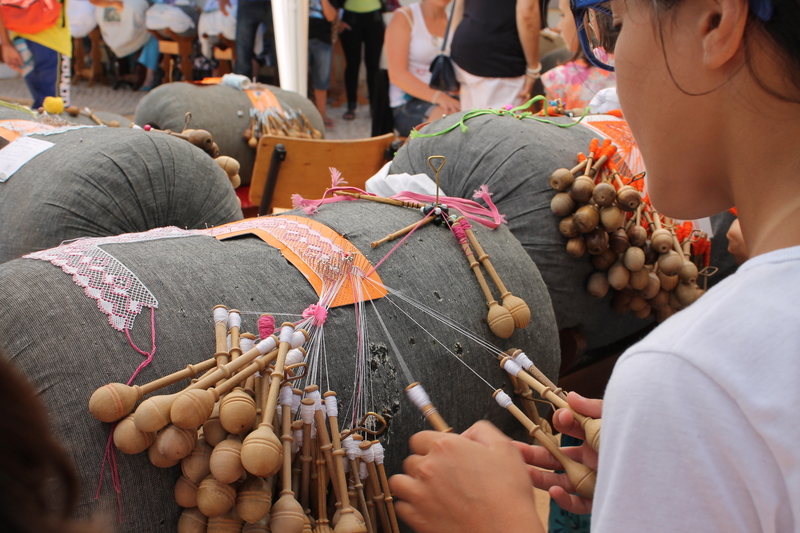 The event is part of the annual bobbin lace festival of Peniche which takes place over a weekend at the end of July each year. Lacemakers from all over Europe and even as far as Goa in India (where the Portuguese introduced the craft) were also there, but they were far outnumbered by the dozens of local lacemakers who against all the odds still know how to make this beautiful and delicate material. 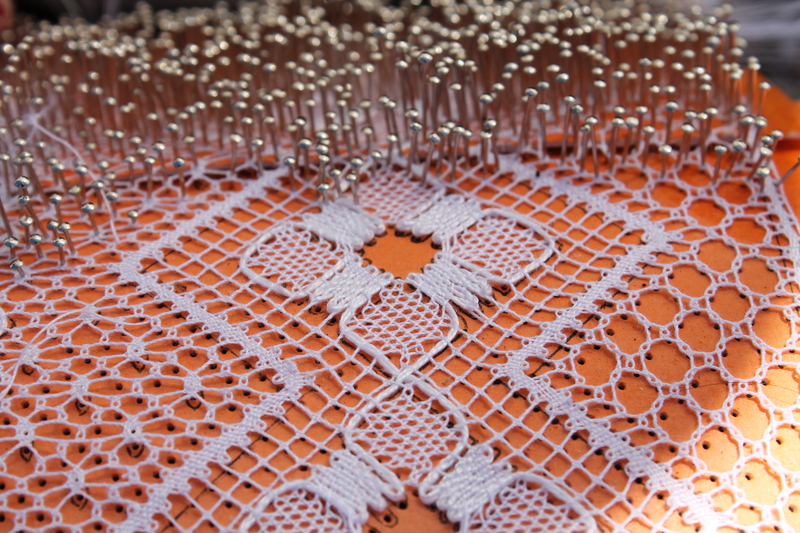 The Peniche lacemakers work by pinning their patterns to large sausage-shaped cushions. The pins follow the shape of whatever pattern has been selected and from these pins dangle dozens of fine cotton threads attached to wooden bobbins. The mounds of bulbous bobbins which look overwhelmingly numerous at first sight are kept out of the way when not in use by large metal pins. The lacemakers are impressive to watch – they move quickly with the bobbins held lightly in their upturned hands, passing over and under each other in quick, short intricate movements. Many of the women I spoke to work on their projects in their spare time so a piece of lace can take weeks or even months to make. No one knows exactly how long lacemaking has existed in Peniche but the quality is believed to have improved greatly in the 1830’s after a local grandee, the Condessa de Casal, unimpressed by the local lace, introduced new patterns and better materials for the women to work with. The superior quality of the resulting lace, which became famous all over Portugal, may explain why it has survived to this day in Peniche. The festival is a great opportunity to see a craft which is usually hidden behind closed doors and to enjoy Peniche’s great seafood. 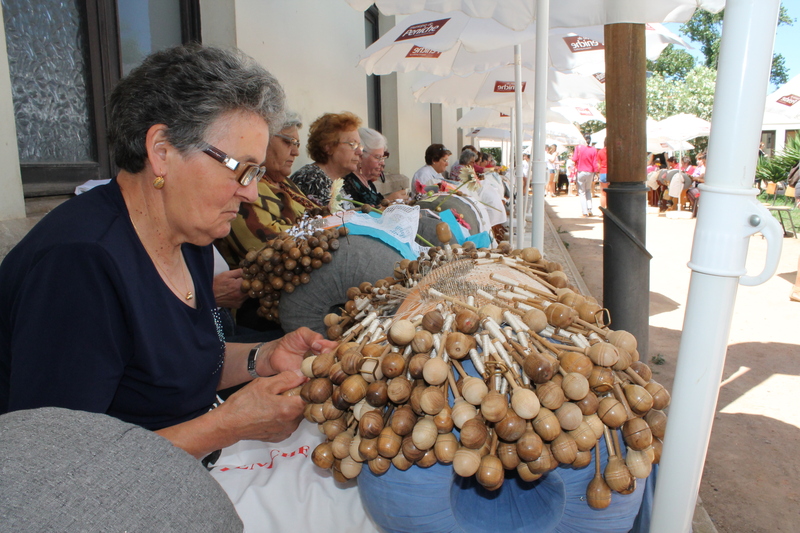 This entry was posted in Textiles and tagged festival, lace, lacemaking, Peniche, Portugal, renda. Bookmark the permalink. Love lace? 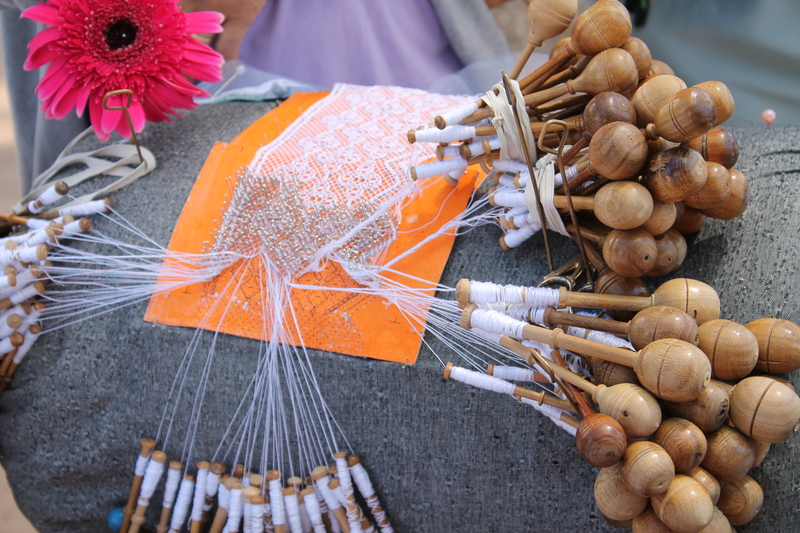 Check out Grace, Lace and Terracotta’s blog on the amazing lace makers north of Lisbon, Portugal. When I was a little girl and saw women doing it I thought this was absolutely insane! (sooooo many bobbins) Nothing looks more intricate and I still have a huge respect for those who are skilled in this incredible craft. Thank you for your coverage of this event. As a lacemaker, I am planning on visiting Peniche this year to attend. So I can find a place to stay close to the event, would you be able to tell me where in Peniche the event is held? Your assistance is greatly appreciated. The event is held in a park in the centre of Peniche a short walk from the seafront. The park (I’m afraid I can’t remember its name) has a famous statue of a lady doing bobbin lacework which I’ve just googled for an address and which comes up as Rua 13 de Infantaria, 2520 Peniche. However as long as you book somewhere in the centre near the seafront you won’t be far away. It’s not a big place. The Peniche fortress (fortaleza) is also well worth visiting – it’s where political prisoners were held until the dictatorship fell in 1974 and there are also some great seafood restaurants overlooking the sea. Finally I also think there is a lace museum which recently opened, although I didn’t have time to make it there on my last visit. I hope you enjoy it as much as I did, Rita.